Thanksgiving is just about two weeks ago so you will be seeing a lot of Thanksgiving recipes from me over the next few weeks! After starting a paleo diet about 5 years ago, I have always had such a blast creating paleo-friendly Thanksgiving recipes for myself and family to enjoy. Thankfully, a lot of Thanksgiving recipes are already paleo-friendly or can be made so with just a few simple tweaks. 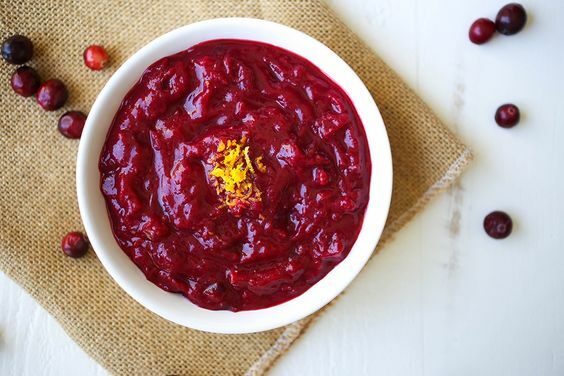 Cranberry sauce is one of the easiest Thanksgiving staples to make paleo-friendly. The only thing you need to change is the added sugar that most recipes call for. When I was super low carb I omitted sugar all together and opted for a few drops of stevia. Nowadays I am not as concerned with a little bit of sugar, especially during a special occasion like Thanksgiving dinner. If you are keeping low carb or low sugar, feel free to omit the maple sugar from this recipe all together and use stevia instead. I wouldn’t recommend no sweetener though as it will be quite bitter. 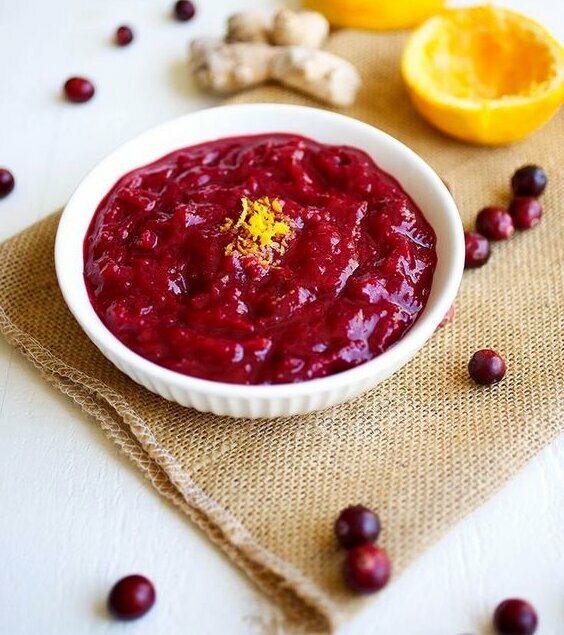 Keep in mind, this cranberry sauce is not overly sweet as is. I have never liked it to be super sweet and didn’t grow up eating overly processed jello-like cranberry sauce. 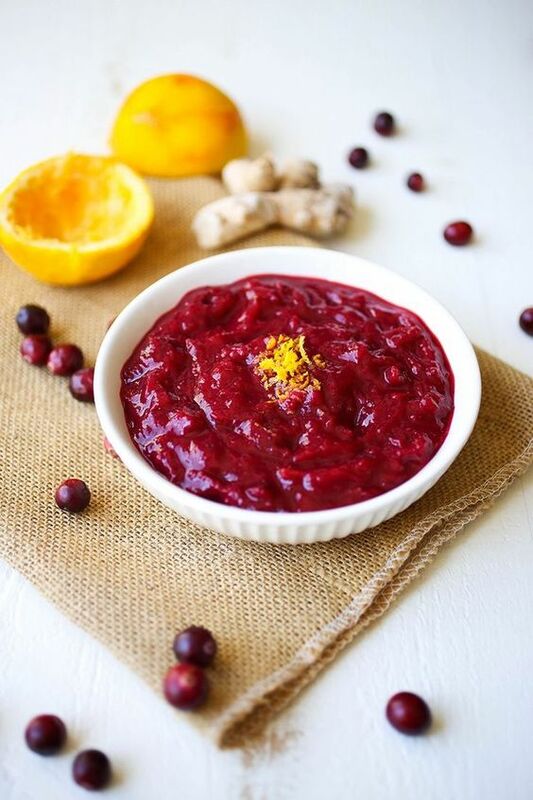 This cranberry sauce recipe is made with only real ingredients and may be slightly more bitter if you’re used to eating store-bought cranberry sauce. Feel free to add a little extra sweetener if need be, but I encourage you to try it as is. Personally, I think it pairs much better with things like stuffing, turkey, etc. than something overly sweet does. One pro tip about this recipe – it freezes quite well so if you are looking to get a head start on your Thanksgiving cooking, this is a great option to make far in advance and have it ready day of! How’s that for stress free? Heat over medium until the orange juice begins to boil and the cranberries start to pop. Once boiling, turn down the heat to medium low and stir regularly. Continue to stir for about 10 minutes or until the majority of cranberries have burst and your sauce is a deep red. Cool in the fridge until you're ready to serve.